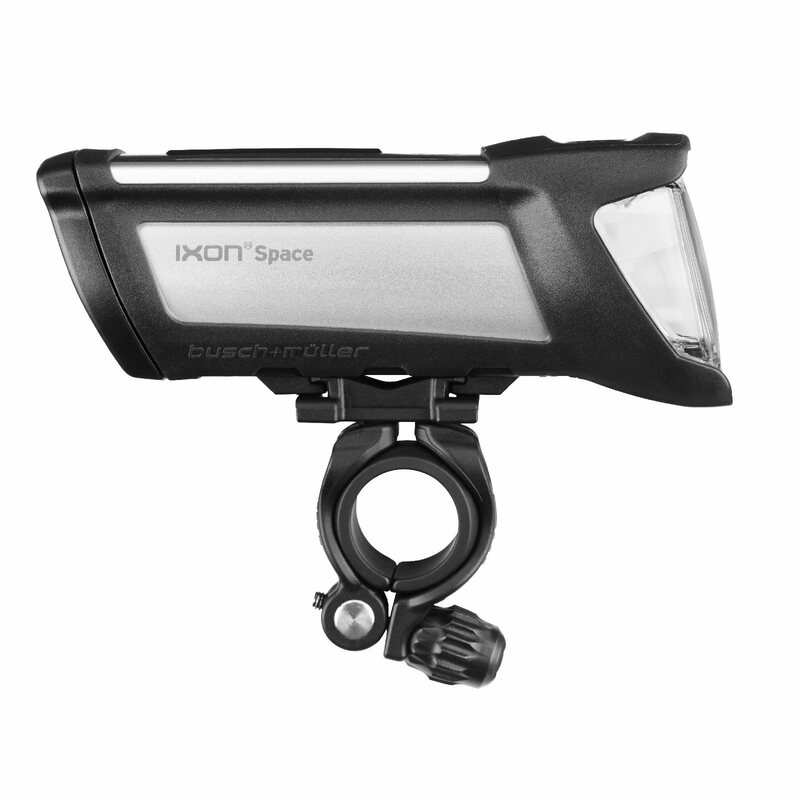 The Ixon Space offers 150 Lux light output whilst being sleek and compact in styling with an integral battery. 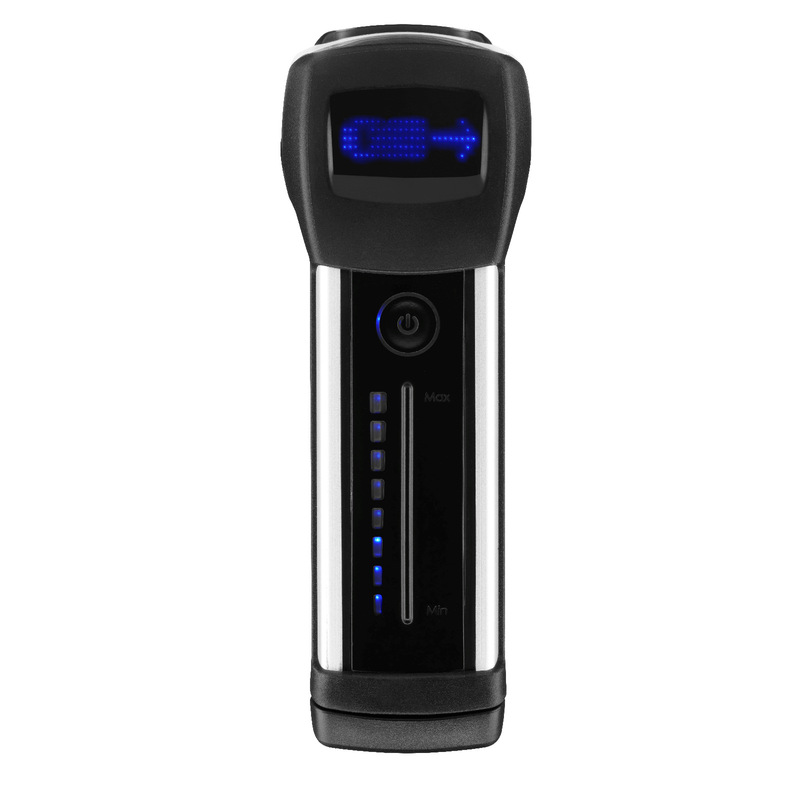 The output can be adjusted with a maximum of 150 Lux for over two hours. The quality of the light is superb brilliantly lighting road and the space around widely. 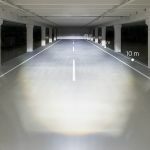 It is approved for German road use with a clearly defined light/dark boundary. The concept behind the Ixon Space is clear information about battery usage, flexibility of eight levels of lighting depending on your requirements. The levels can be easily adjusted by the gentle push of a finger on a digital scale. 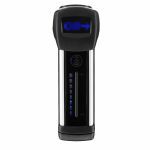 In the lowest mode one charge of the battery will last for approximately thirty hours. The illuminated display shows the remaining light duration for each light level, the current time or when the battery is used to charge mobile devices eg smartphones, via the USB (power bank mode). In this mode the integrated lithium battery can be used to supply energy to other mobile devices. For a secure ride it is important to be able to see the road directly in front of the bicycle. Bumps or potholes in the road can be seen better if this area is lit and can be circumnavigated by short and intuitive steering. During darkness this is only possible if the area between one and four metres in front of the bicycle is lit brightly and homogeneously. Subjectively the need for light at close range is higher the slower one is riding, because one's balance can more easily be influenced by obstacles. 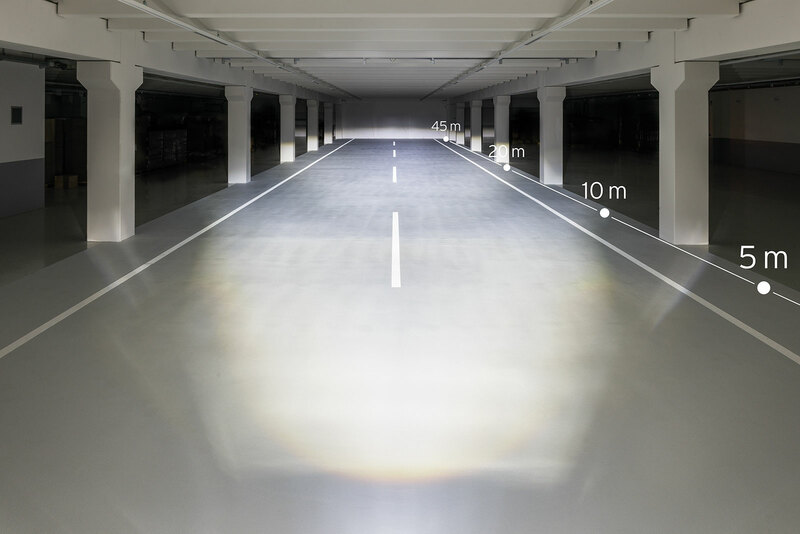 "With light at close range" means that the light field emitted by the B+M headlights starts directly one metre in front of the bicycle.